Wow! That above is quite a claim. Let me prove it. Most of you know me due to my fifty years of dealing with PTSD, TBI, and more thanks to what the Vietnam War did to me. Over these past 50+ years, I have been writing books for vets, hosting websites and blogs like this one. I did this to save my own life and to save my now fifty-year marriage to my best friend Ginger who I married on my R&R Leave during the War (1967). I have been looking for all natural herbs and supplements to keep myself, my wife and my friends and family off of the Toxic Soup that the VA and other well-meaning but uninformed doctors wanted us to take. Some of the products I found were very good. They helped my wife heal herself from the ravages of Colitis when her doctors and specialists said it couldn’t be done. By suggesting these Super Foods and healing nutriceuticals I have helped vets get off of the insulin they expected to take for the rest of their lives. I have also helped other vets with PTSD, TBI, and Depression move away from so-called legal & illegal drugs, and substance abuse. We did this by simply adding things like High Dose Omega 3’s to their supplements and diets. These vets are now some of my best friends and they will back up everything I am writing to you about here today. Bear with me and I will do my best to get you all the info you will need to make your own discovery of this amazing healing oil that has been hidden from us for the past 80 or so years. I will explain why it was taken from our food chain because of pure corporate greed. Now Hemp and its CBD Oil is back in our diet and legal in all fifty of our US States and it is also going viral around the world. In this CBD Oil section of my blog, I will write several articles that will explain CBD Oil’s history and why it was Black Balled. It is a fascinating story. I have been researching CBD Oil for quite some time and taking it twice a day for over five months as of this writing (4/9/2018). First, why did I decide to try CBD Oil for myself? I had shoulder surgery five months ago and only took the Opioids they gave me for one day. I am extremely anti-drug so I was very reluctant to take any at all but I am a big baby and don’t like pain!!! Hey, I am not alone!!! Just one day of opioids made me feel horrible. Talk about constipation!!!! I decided I would rather take the pain but happily, for me, I didn’t need to!!! As I said I had already been checking out this CBD OIl that was becoming a Hot Topic. As many of you know I don’t mind playing Guiney Pig as long as it is an all natural substance that isn’t poisonous. It was time to put CBD Oil to the Personal Test. Due to the shoulder operation, I did have plenty of inflammation pain. Pain & Inflammation. The Short Version: Watch for my in-depth article coming soon. Acute Pain and Inflammation: When you stick your hand too close to a fire, the pain causes you to yank it away to keep from causing more major damage. Inflammation then occurs as the body’s natural response to protect itself against harm. The same thing happens when you bang your knee. In these settings, inflammation is essential—without it, injuries could fester and simple infections could be deadly. 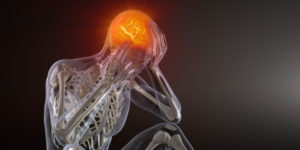 Chronic Pain & Inflammation: People with persistent pain often think of themselves as suffering from a specific ailment, whether it’s arthritis, back pain, migraines, or something else. But anyone who has experienced pain for several months or longer also happens to be among the millions of Americans with a condition known as chronic pain. Some cases of chronic pain can be traced to a specific injury that has long since healed — for example, an injury, a serious infection, or even a surgical incision. Other cases have no apparent cause — no prior injury that we remember and an absence of underlying tissue damage. When I say injury that we remember I am speaking of myself. I did goofy things in my life such as taking up Roller Blading in my fifties and sixties. I hit the ground a lot!!! 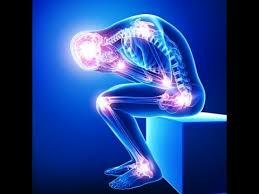 Many cases of chronic pain are related to inflammation. Therefore, taking steps to ease inflammation is an effective means of interfering with the process of pain sensitization. Through my research, I learned that CBD Oil is one of the best all-natural anti-inflammatory substances ever found. I started taking the CBD Oil and right at first, I took a couple of aspirin and IBProfin just in case. As I said I hate pain just like all of you reading this. Both aspirin and ibuprofen belong to a drug class called nonsteroidal anti-inflammatory drugs (NSAIDs). They have similar side effects, and taking them together increases your risk of these side effects.Aspirin and ibuprofen can cause stomach bleeding, especially if you take too much. Within one day I realized I no longer needed the aspirin or IBProfin except for a really bad day or two when I overdid things. Ginger warned me to take it easy in my office or on the couch but I am too hyper. The CBD Oil did the trick for my pain right away. I am talking about minutes. Sublingual and Topical Use. I put drops of the CBD Oil under my tongue and then rubbed it right into my shoulder and I was 80+% Pain-Free. Most of the time over the next month of healing I was even 100% Pain-Free! This is without toxic drugs that harm our livers and kidneys!!! Through more research, I now believe that the CBD OIl, while removing my pain was also healing things like my liver and kidneys. Check out the video at the bottom of this article! I was so amazed by CBD Oil that I started sending out Smoke Signals. OK, I am not that old (73 Years Young). I actually used Facebook Emails, and more. You can now call me a Millennial! I now have veterans that are no longer taking opioids in favor of CBD Oil. I now have veterans that no longer need insulin for their diabetes! I now have friends with MS that are Pain-Free for the first time in twenty years!!!!! Does CBD Oil help with anything else? Actually, it is easier to list what it doesn’t help with as it is a universal healer that works at the cellular level. Let’s search that out together. Let’s use the Testimonials FB Page from the company I get my CBD Oil from. My self and some researcher buddies of mine dug in and found this company and their product to be the best with all the lab tests to prove it along with a very reasonable price range. We found a CBD Oil Testimonials FB Page that is the most exciting testimonials page relating to All Natural Nutraceuticals that I have ever read in all my years of Health Research!!! Would you like to research the Testimonials? Send me an email with either your Facebook Username or your email and I will invite you to the Private Group. 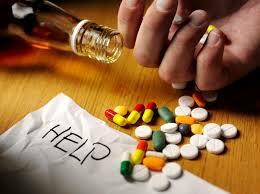 You can search the testimonials by specific Physical or Mental Issues. How Does CBD Oil heal so many Mental and Physical maladies? How Does CBD Oil get so many people off of Toxic Legal and Illegal Drugs & all types of Substance Abuse? This Video is the most Important Video you will ever watch for the future health of you, your family and your friends. Here is a very interesting conversation between myself and a close friends family. A few days ago I found out that my Old Friend Bob had just had an operation to remove Cancer from his mouth, throat, and neck. This morning 04/13/2018 I went to the Testimonials page for the CBD Oil I am involved with and found a really good post. It wasn’t about cancer per say but it was about a brain tumor and I immediately thought about Bob and other friends and family of mine. I was diagnosed on April 10, 2017. I had gamma knife radiation on May 18, 2017. I began HempWorx CBD Oil 750mg on the same day as my radiation. My doctors explained that the radiation was not meant to shrink, but to prevent the tumor from growing. Today, my DAUGHTER’S birthday, I had a follow-up MRI. The only gift my daughter wanted was for no new tumor growth. We both got our birthday wishes……not only was there no new growth……. there was SHRINKAGE!!! 🙌🏽 🙌🏽 🙌🏽 🙌🏽 🙌🏽 🙌🏽 Talk about the ugly cry!!! I’m a nurse and I rely on hearing issues to assess my patients thoroughly. I had been suspecting some shrinkage because I had noticed some improvement in my hearing loss. Bottom line…..I don’t care what anyone says. You can’t tell me that the CBD oil didn’t have anything to do with it! I’m going to shout this from the rooftops! 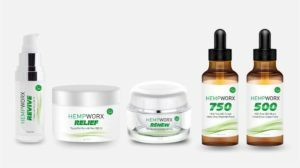 THANK YOU, HEMPWORX! Here is a new post I just saw on our testimonials page. I thought right away about Bob. These testimonials are from real people with real health problems getting excited about their success over the bad stuff. I am seeing just too many of these for me not to be extremely positive about what this CBD Oil is doing. Very Important: Don’t look at CBD Oil as just a pain reliever. It is so much more than that. When our bodies are in homeostasis like that example in that video I sent you a link to, our bodies can and will heal themselves of ANYTHING. I have been hearing about what our immune systems and our bodies could do, once in balance, for many years from the top doctors and researchers I have met through writing my books. The problem I was having was I just didn’t know of any easy way to help people this. Until now I have seen this self-healing on a personal level only a number of times. That is how Ginger CURED herself of colitis by using a doctor friends formulation of some other All Natural ingredients. This was before we knew about CBD Oil. CBD Oil is not the only all-natural healer I have found in the past. It is just now by far the best one. I can’t wait to see what the next few years bring now that people are looking away from toxic drugs for help. I didn’t know how to easily help people get into that balanced state of homeostasis without tons of work. I thought it would take a major change in our lifestyles. Everything from diet & weight loss, exercise & tons of supplements, 8+Hours sleep per night &, hours of positive meditation. I thought we had to dump booze, sugar & salt. No red meat and Don’t Drink the Tap Water!!! That and the list went on in my mind. I was having trouble doing all that for Ginger and I. How was I going to get other people to do all of that? Just thinking about all that was exhausting. I thought that without changing all the above our lifestyles would kill us sooner rather than later. I thought people even needed to change their jobs. Driving hours in stop and go traffic to jobs they hated while breathing smog also had to go. Could something as simple as putting CBD Oil into our food chain be the key? It is actually looking like that is exactly what is going on. The more I talk to people and read their testimonials the more positive I am becoming. I now have a huge influx of hope. After months of reading the true stories on the Hempworx Testimonials FB Page, like the one above has convinced me that doing something so incredibly simple as starting every day with 1/3 eyedropper of CBD Oil under my tongue will put all of us right into balance and homeostasis. I would never have thought that something this easy could be such a magic trick! By doing the same eye dropper at night I am getting better sleep as well. In fact, the CBD Oil is helping Ginger and I want to exercise and do the other stuff I mentioned above. Our energy levels are way up. Keep in mind now that I am now almost 73. If I can do it so can anyone. You need to get Bob’s immune system cranking big time. Whether you do that through CBD Oil or if you can get him to do all the other stuff I talked about above, it needs to be done ASAP. Helping his body heal itself is the key. Right now you are most interested in his pain relief from the operation. CBD Oil could help him with some or hopefully all of his pain from the operation. But as I said CBD Oil is Way More than just a pain reliever!!! Don’t think in terms of a drug. CBD Oil is not one. It is proving to be an amazing key to homeostasis!!! End of my email to them. I love that name. My favorite Aunt 65 years ago in Chicago was named Minnie. Minnie Skipworth Ward Absolutely! How about some images? The 1st is one that was taken before my radiation. It was also done at a different facility, which explains why my head looks like it was shaped different. Donald G Parent These posts make me want to cry. My wonderful 28-year-old nephew just died 6 months ago from a brain tumor. We didn’t know about CBD Oil eight years ago. He had to endure eight years of chemo and radiation. I honestly believe that if he had eight years of using CBD OIl he would be here today!!!!! If nothing else then the CBD OIl would have helped him bounce back, like you did, from the destruction Chemo and Radiation causes to the other parts of our bodies. People have finally said enough to Big Pharma and are looking for real life help. Before pharmaceuticals that is exactly what we did as humans. We found things that worked and passed it back and forth for thousands of years. CBD Oil has been in our food chain for ten thousand years. Hemp is the oldest harvested plant in the world until one hundred years ago when it was blackballed. Read my other posts on this Veterans Health Blog. The History of Hemp and its CBD Oil is a must-read not only for history buffs but for the future health of your friends and family!!! I hope my personal CBD Oil Stories have convinced you to try it. Are you ready to change your life? 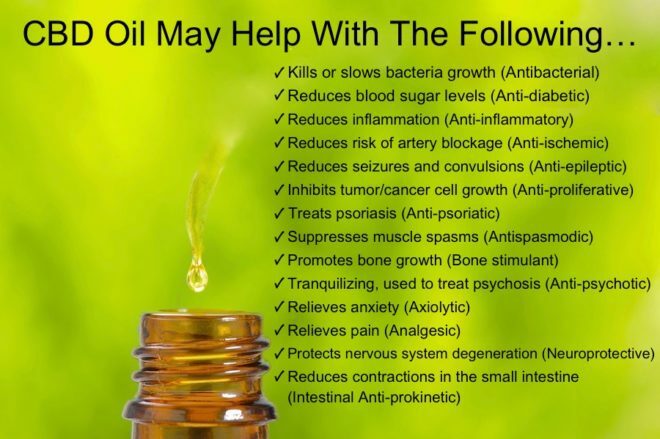 Would you like to try CBD Oil? Remember that CBD was in our food chain for thousands of years. This is back when “Farm to Fork”actually meant something. Our food has been stripped of almost all of its Natural Healing Properties by Corporate Greed. Most of it is being loaded down with toxic sprays like Roundup and forms of Agent Orange.and tricks like GMO’s. People now rely on Toxic Drugs to fix the mess that our anemic food chain has caused us. Will Big Pharma and companies like Monsanto come to our rescue? Can we get the healing nutrition we need back from our grocery store aisles? Talk about Smoking While Pumping Gas!!! We can get that nutrition back but it takes digging in hard and finding the best supplements and nutrients available. Let the VeteransHealthBlog.Com do the digging for you. Thanks to the most modern health-conscious harvesting and processing CBD Oil is now available in a Full Spectrum form. My goal is to get this type of product and info into the hands and bodies of as many of my fellow vet’s as possible. Help me spread the word!! !